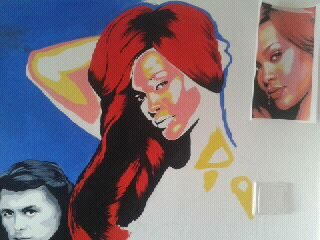 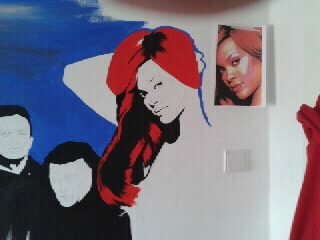 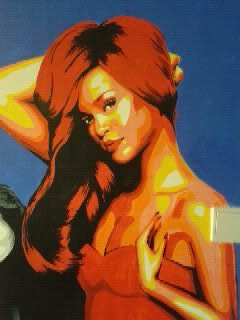 Rihanna Hand Painted Wall Mural, done using acrylic paint with warm and vibrant colours in a "pop art" style. 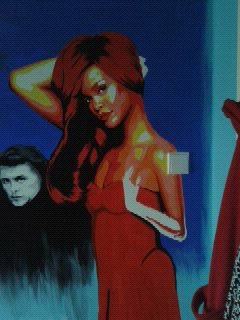 This wall mural of Rihanna is part of a montage of singers including JLS and Take That. 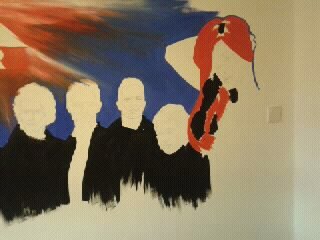 It also included a picture of the X factor logo which can been seen on other pages. This Rihanna Wall Mural measures around 5 ft in height. 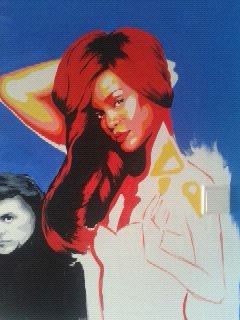 You can see the step by step process of the Rihanna Wall Mural below, for a bit more of a close up click on the thumbnails. 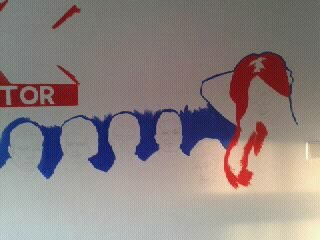 One of the things that I pride myself on is the fact that I don't use stencils or projectors. 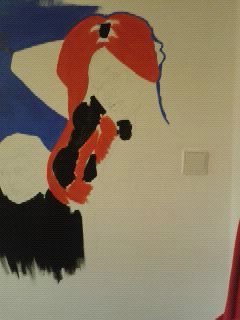 Everything is hand painted directly onto your wall.